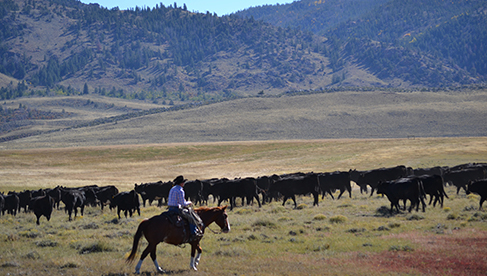 The Wyoming Dude Ranchers Association has member Guest and Dude Ranches that have made a commitment to quality and providing an Authentic Western Wyoming Ranch vacation. What you can expect at all of these ranches are unspoiled endless views, clean air, great genuine Western hospitality and everybody going the extra length to make sure you have a great vacation. Don't know what ranch fits you best in Wyoming? Ask us. 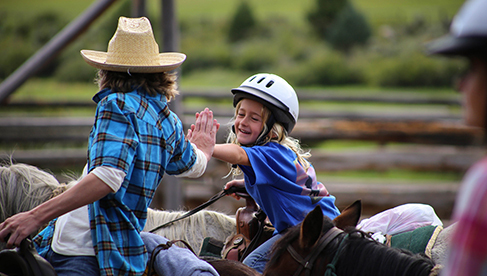 There are traditional Wyoming Guest Ranches with a diversity of activities ranging from horseback riding to fishing, hiking, biking, games, trapshooting, river rafting, cross country skiing, swimming pool, canoeing, etc., and there are also ranches that are very kid-friendly with dedicated kids programs. 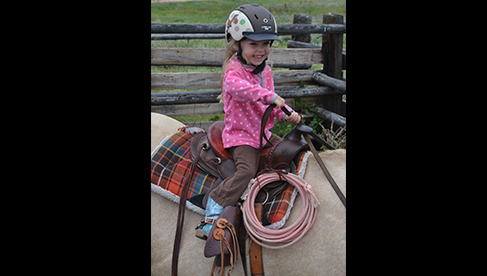 There are upscale Wyoming resort ranches, ranches that organize pack trips, working cattle ranches where guests participate with ranch hands in the ranch activities and riding and horsemanship ranches. 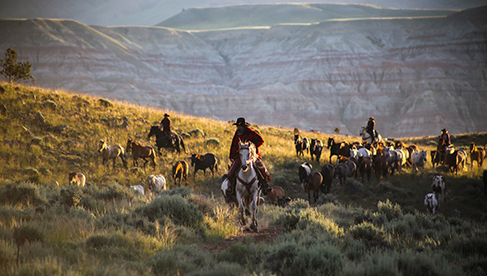 Wyoming was known for its fur trade and old cowboy customs. Wyoming continues to be the least populated state in the United States. 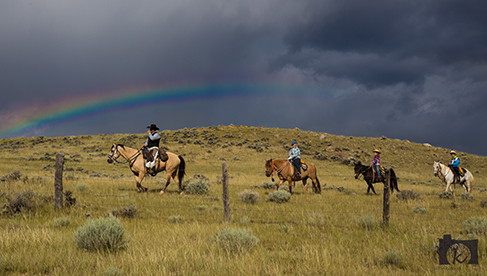 Wyoming is unique because it has continued to preserve its original western cowboy way, taking pride in preserving its natural beauty with its breath taking views being surrounded by national parks, and still maintaining the same genuine and authentic ranching atmosphere. 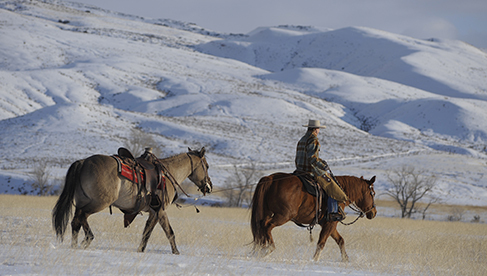 Request the free brochure to find your next dude ranch vacation in Wyoming. 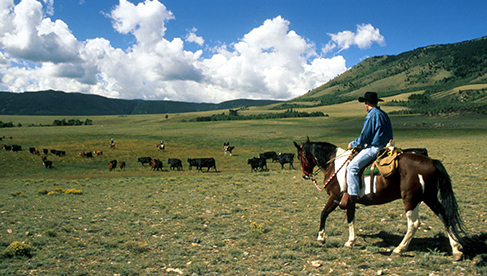 Check out the choices for Wyoming dude ranches. 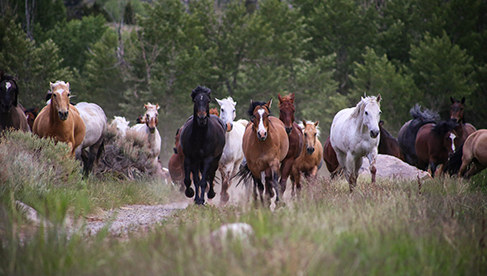 Wyoming guest ranches offer a variety of experiences ranging from rustic to upscale, depending on what you and your traveling companions are seeking. 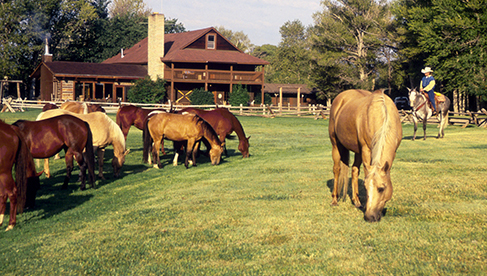 Rustic dude and guest ranches offer the basics in terms of accommodations. You might sleep together in a bunk-style building with several other guests and share bathrooms, or there may be cabins or lodge style rooms – the lodging will be clean, yet rustic. 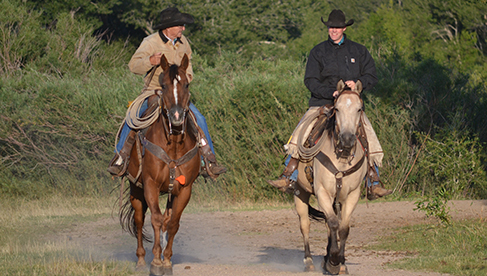 Working dude and guest ranches come with different levels of accommodations and service. Some are rustic, some will be traditional and a few are upscale. 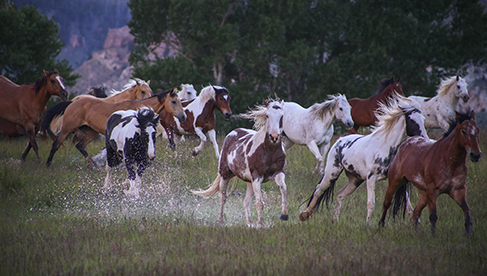 Most Wyoming guest ranches will fall under the traditional category. They combine modern amenities most with private cabins or lodge rooms with private bath to compliment the traditional dude ranch experience. Dude and guest ranches take great pride in serving excellent food, whether on a cook-out BBQ, lunch ride, or a mix of ranch cuisine with a gourmet flare in the dining room. 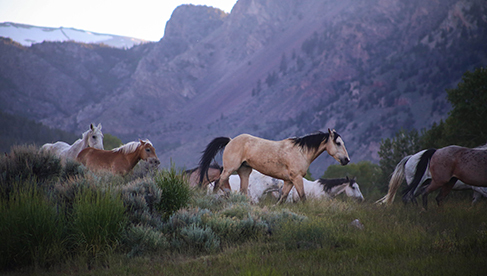 You will never find a shortage of things to see and experience during your time in Wyoming. 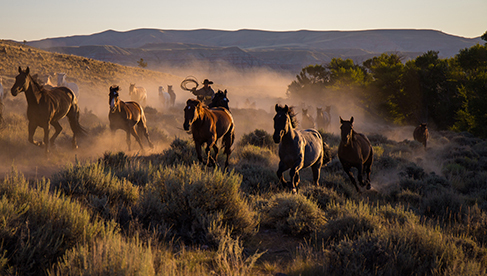 With all of the guest ranches to choose from, the abundance of museums, historic sites and other cultural attractions, you'll be hard pressed not to add another day to your trip. 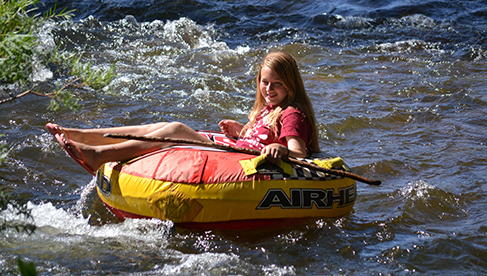 Whether you're seeking a Jackson Hole dude ranch in proximity to Yellowstone National Park and the Bridger Teton National Forest or a Cody Guest Ranch or something even more remote, there are wonderful places to play outdoors in Wyoming. 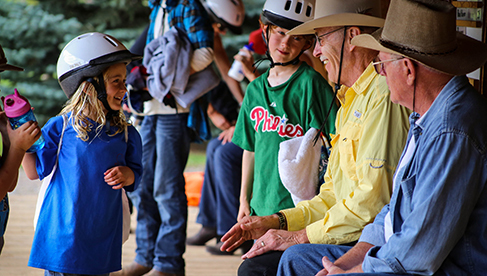 What you can expect at these Wyoming ranches are unspoiled endless views, clean air, great genuine Western hospitality and everybody going the extra length to make sure you have a great vacation. Airports in Wyoming that guests can fly into include Laramie Regional Airport, Yellowstone Regional Airport, Riverton Regional Airport, Worland Municipal Airport, and outside of Wyoming larger airports include Billings and Denver International Airport. 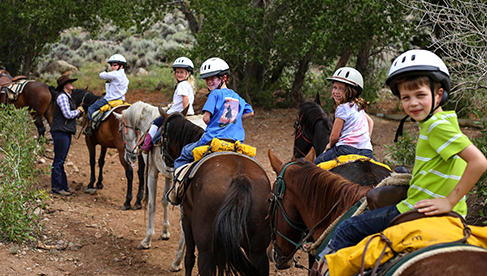 Western style; many ranches are very practiced at hosting beginner riders, but several ranches have great programs for riders with a lot of experience. Varies for each individual ranch. Learn more at wyomingdra.com.